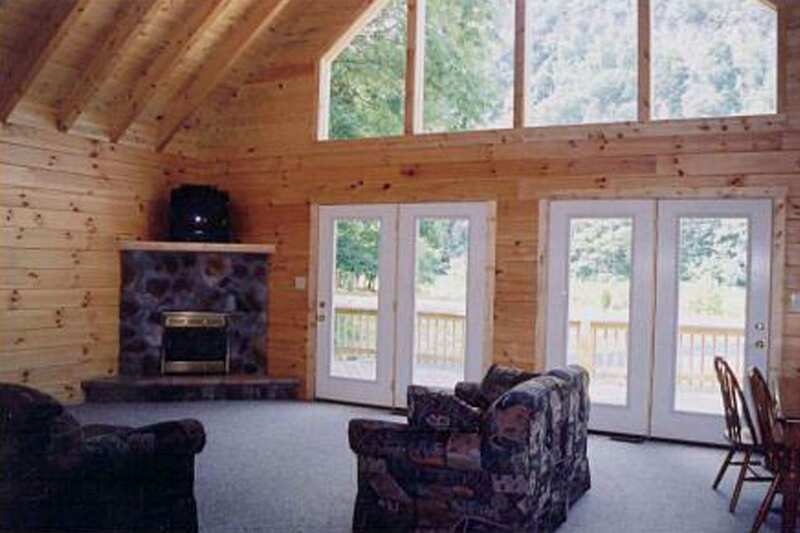 This cabin has three bedrooms, a loft, two baths, kitchen and a great room with a rock fireplace. The spacious loft contains the master bedroom and a bath. The two bedrooms downstairs share a bathroom.